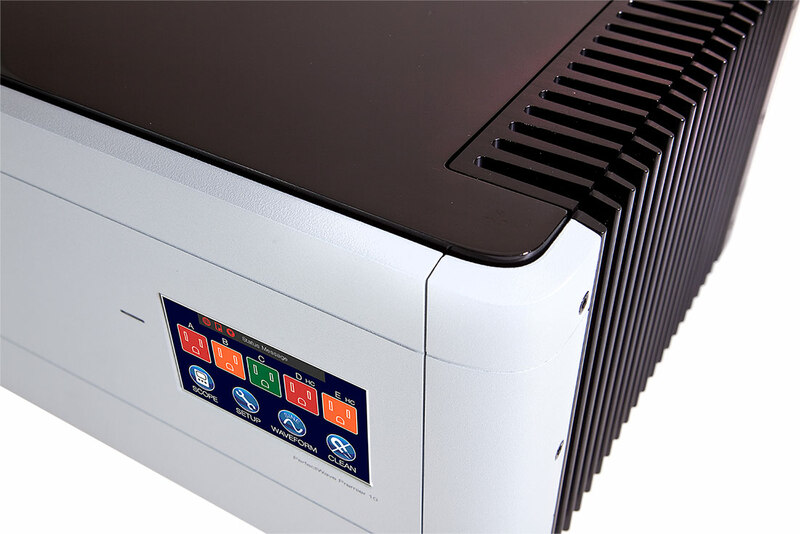 Manufacturer of power, stereo and home theater amplifiers. Chord Electronics specialise in designing High-end Hi-Fi components, home audio, surround sound, home music and entertainment. Music Hall turntables first saw the light of day in 1998. They are manufactured in the Czech Republic in a factory that continued, throughout the Soviet Era, to make high quality turntables despite growing interest in CDs. Ingeniously engineered inside one simple cabinet, Geneva Sound Systems provide everything you find in conventional stereo. 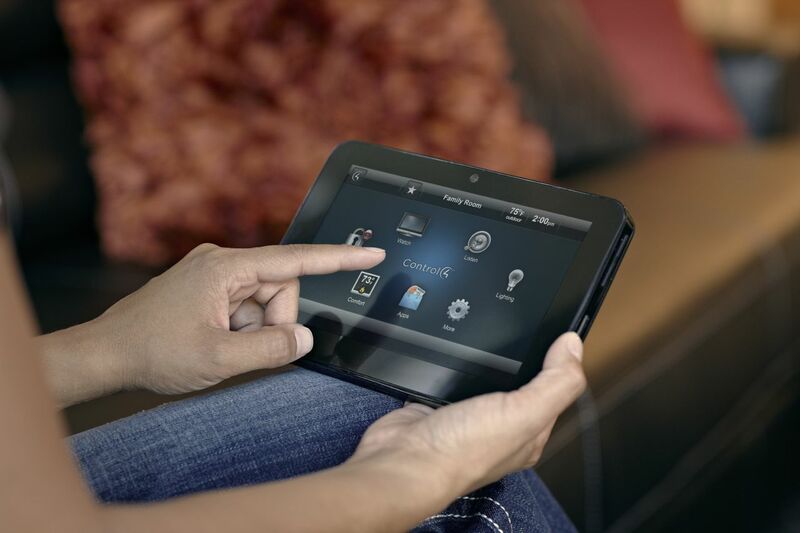 Today��s electronics don��t have to overpower the living space. BDI furniture merges innovative engineering and original design to seamlessly integrate technology into the home. Fusion Research is a leading manufacturer of media servers, allowing people to collect, manage, and display their media throughout their home, business or yacht. The YSP achieves true surround sound by directing sound beams off the walls to reach the listener from various angles. The Yamaha Digital Sound Projector is an exciting breakthrough in home theater technology. Now you can get optimum multi-channel sound directivity to enjoy the full benefits of home theater all from one easily installed component. No more multiple speakers, no more clutter, no more hiding wires... just the pure excitement of bringing your movies and music to life. The Digital Sound Projector employs multiple small speakers, each with it's own amplifier, and our unique projection technology to control the orientation of the sound. By focusing the sound into "beams" and controlling the speaker delay times, the listener perceives the sounds to be coming from additional speakers placed throughout the room, when in fact there is only the Yamaha Digital Sound Projector. The time delay of each speaker driver is controlled by a Digital Sound Projection circuit, enabling the system to project "beams"of sound which are precisely aimed for optimum surround sound effect. 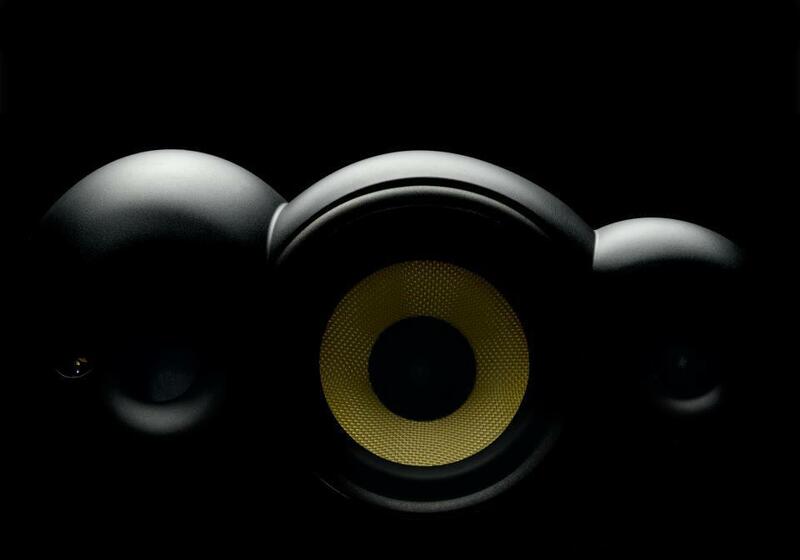 The direct and reflected sound waves produce true multi-channel surround sound. 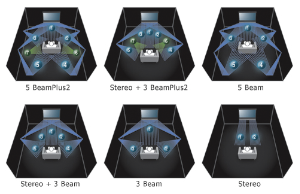 High Separation two-channel sound can also be reproduced by superimposing multiple beams of sound. 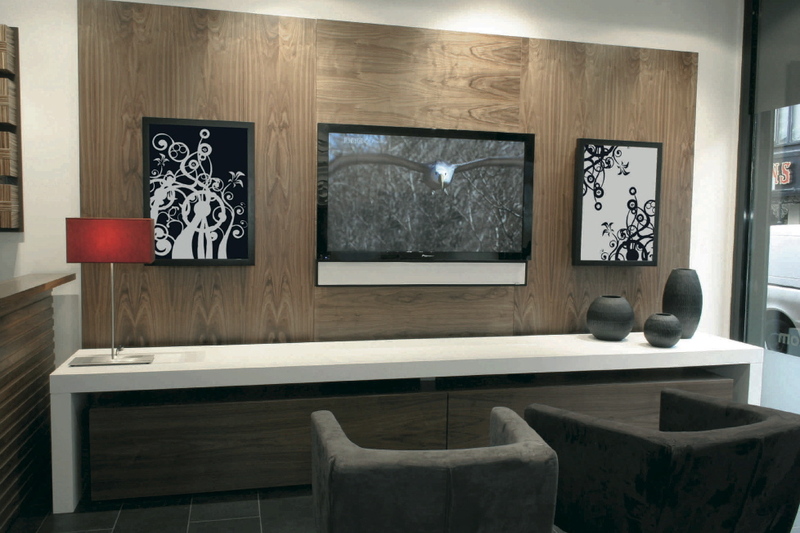 It's also about style and how well it compliments a wall or stand mounted plasma, LCD or rear projection video display. 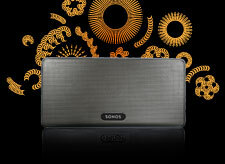 With a slim, contemporary design, i becomes an elegant statement of the latest in home theatre technology. And since it can be used as an on-wall system, you can take the Digital Sound Projector with you if you move! Visit our showroom for a demonstration. Your eyes wont believe your ears.